The doom of America approaches, and there are many people who do not really know why. There are also many who would not like to know. As I have always said, truth hurts—especially the guilty. It is the expressed purpose of the coming of God, whose proper name is Allah, to make manifest the sins of a people who He would destroy, justifying His destruction of that people. 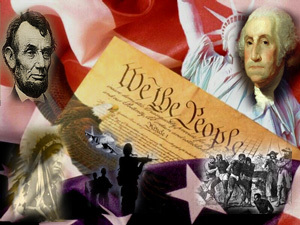 America represents herself as a Christian nation. This means that they are followers of Jesus, whom they call the Christ and say that they are crystallized into him and God and have become one. As they say, God the Father, Jesus the Son and the Holy Ghost. They profess to be a friend and defenders of all peace-loving and freedom-loving people. The only people we really see that they want to be friends of are themselves and their kind. They are really sincere when they say that they are freedom-loving people. Above all, the White man the world over wants to be free to rule and dominate the aboriginal people. Today America's doom is set like a die. She cannot escape; it is impossible. For her to escape would classify the prophets of God and God Himself as predicting lies. 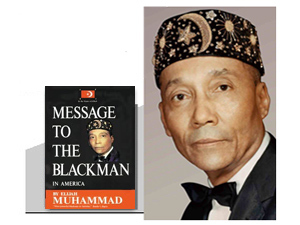 When God appeared to me in the person of Master Fard Muhammad, to whom praises are due forever, in 1931 in Detroit, He said that America was His number one enemy on His list for destruction. While he mentioned other European Whites as getting a little extension of time, He singled America and Germany out as being the two worst vicious, evil, destructive trouble-makers of the entire nation earth. And that America had mistreated us (the so-called Negroes) so much that she cannot be equally paid back for the evils she has done to the poor Black slaves. There are thousands and tens of thousands of American so-called Negroes and in those tens of thousand are such professional and educated class of people as preachers, ministers of the white man's Christianity, even scientists, scholars of many kinds and technicians of all kinds who have become submerged into the love and worship of the White race because of advantages. Today they preach the gospel of being an American citizen and worship equally their intermarriage with White Americans who used the Black women from the time they were brought here 400 years ago until this very day, as they would their stock and cattle. It is a perfect shame and disgrace to see men of the Black nation professing themselves to be spiritual guides of God and His people, endorsing and backing the rule of enemies who have spoiled and exploited them to the extent that they are not recognized even among their own kind outside America. These ignorant Black people will oppose anyone who preaches freedom, Justice and equality and some of this earth that we can call our own. They are the first to go to the policemen and F.B.I. seeking persecution for those who stand for freedom, justice and equality and independence for the Black man of America by their admired and worshiped enemy (the White race). They will accuse them of trying to overthrow the government or even of causing trouble. The White man has looked into their faces many times as into their children's faces and cursed them and called them Black Negroes and told us to our faces that they hate us and should kill us. All of my life I have heard this, and all of their lives they have heard the same from the mouths of these people. But today they wish to save their skin by sacrificing their poor, blind, deaf and dumb people to the destroyer for their own selfish gains. I have begged and begged for many years for just a conference with them, but they will not come near. But they will go to the White man and beg him to drive Elijah and his followers out and even kill them. This is the enemy, but Elijah Muhammad is laid as a stumbling stone. That stone that has been rejected by the builders. Whosoever falls on that stone will be broken to pieces, and whosoever the stone falls upon will be ground into powder. No wonder the Bible, says, woe, woe unto such professional class that stand in the way of those who would enter the Kingdom of Heaven. They refuse to go in themselves and seek to prevent those who are trying to enter. I am sorry for my poor people who should be helping in the right way to get a permanent future of freedom, justice and equality and who now, due to fear, are doing everything to oppose it. They are dumb enough to the knowledge of the scripture of what God has prophesied he would do in this day and time, and they make mockery even of the Messenger of God because God did not choose one of them or one of their proud politicians. They make mockery of him as being too ignorant to lead them. But let them tell you what type of an Apostle or prophet God promised them. Was it a man from some of the enemy colleges and universities with an arm full of degrees coming from these institutions of learning of the enemy? Let them read their scriptures and see what type of man God promised to choose for a last messenger. How many of the prophets in the past were educated men of the civilization in which they were born before the call of God? The sins of America are terrible. She has risen up in this part of the earth which was wilderness forsaken by all our people for thousands and thousands of years and was used for a kind of exile continent. The White man came out of Europe in desperation seeking a place to expand and began to kill the aboriginals of this continent (the Red Indian) and take their homes. This was one of her great sins. The White man has left a remnant of that people for the sake of mockery and for his children to see the people their fathers conquered in taking this land of the Indians for their own land (as they call it today). God never intended that the people of the earth go about killing each other to rob each other of their homes. It was never done by anyone but the White race. He was not satisfied in killing all the aboriginals here to take their homes but went back into the old world of Africa and Asia and deceived and brought our fathers here for no other purpose than to make them slaves and to experiment on them. They have never been a friend to us, nor do they ever intend to be. They cannot be a friend because they were not created in any such nature to be a true friend to anyone, not even to themselves. Today she is being upset with wars, little scrimmages breaking out here and there over the earth keeping her busy running from one fire to the other trying to prevent the fire from spreading into a national or international fire. She must get a taste of what she has put upon other people. Therefore, Almighty God Himself is stirring up the nations of the earth against her. And, as it is written, they shall come against her as she has gone against other people and taken away their wealth and brought it and poured it into her treasuries, so shall it be done to her.